Posted on November 25, 2017 by On a Higher Note. Since the launch of Gryphon, we have been running around the last three months with a show, seminar and dealer visit schedules right on top of each other, Thanksgiving week is a welcome break to pause and give thanks as we celebrate life with our loved ones. It’s also an opportune time for me to savor needed solitude in my favourite tunes, tweaking my home systems with familiar records and discovering new music all the while. We picked these three albums to highlight the art of remixing and reissuing past classics. Here’s a toast to fellow industry road warriors who are passionate in sharing high fidelity music to connect with a broad audience’s emotions, and to the many new friends we have made that share the same burning passion for great sounding music that jolts. 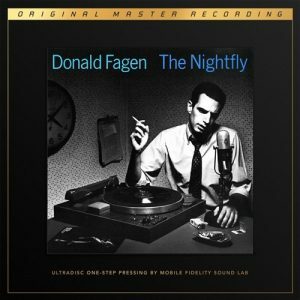 Mastered from the Original Master Tapes with Mobile Fidelity’s One-Step Process: “The Nightfly” 45 RPM reissue is the ultimate analog version of Donald Fagen’s 1982 stunning debut. Nominated for 7 Grammys thirty five years ago, this early PCM recording was always an audiophile delight. This was Donald Fagen’s first solo album after departing from Steely Dan with an added jazz twist; it’s a 10 both musically & sonically. I bought the LP while I was living on Kenya and was thrilled, this album was right up there with the best of the stellar Steely Dan albums with both amazing production values and rich musical content. Mobile Fidelity went to great lengths to source a vintage SONY PCM recorder for playback. Interestingly, the recorder needed to be restored before the transfer was completed. One Step eliminates a couple of the processes involved in making a normal LP. While the cost is higher, the increase in sound quality is very noticeable and well worth the additional expense. I was blown away last year by the MoFi 45 RPM One Step re-issue of Santana’s “Abraxas” compared to an original UK pressing as well as various other reissues on CD, LP and SACD. The MoFi One Step was definitely the version to own. Similarly with “The Nightfly”, the 45 RPM One Step is unbelievably punchy, a sonic delight coupled with terrific jazz styled rock, a must-have in the music lovers collection. The DVD-Audio disc is also worth checking out, head & shoulders better sounding than the regular CD. 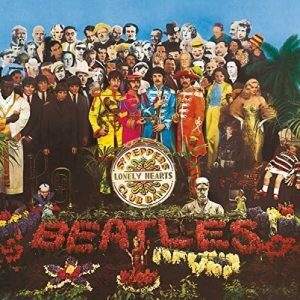 I have been convinced for many decades that the best sounding Sgt Peppers was the original UK mono pressing. That is until the release of Giles Martin’s 2017 reissue to coincide with the 50th Anniversary of this seminal album. All of the original recordings were digitized from the original tapes and assembled / composited / mixed in the digital domain. The end result is nothing short of revelatory. Giles Martin’s remix of “Sgt. Pepper” follows the trail of the glorious 1999 “Yellow Submarine Soundtrack” through to the 2006 “Love” commissioned by Cirque du Soleil. They all rectify the early ping pong stereo of the early sixties, and almost always put vocals and drums in the center. Fleshed out with background vocals and various instruments in one channel or the other, they achieve a pleasant fullness and depth of sound. I was particularly impressed by “With a Little Help from my Friends.” It now “swings” by virtue of the drums, which is now distinct and upfront, almost like you are hearing this song for the first time. The album sounds for all intents & purposes like a blanket was removed from in front of the speakers and this classic rock album shines as new in all its glory. I do not tend to use the word masterpiece often in my vocabulary, but this album certainly deserves the highest honors. I have shared many copies of this already with my friends and will stock up on a few more copies to give away as Christmas presents. Highly recommended. 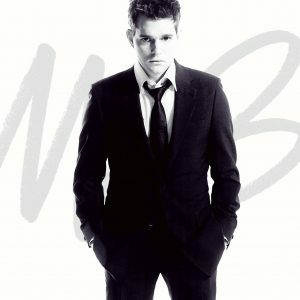 Can you imagine my delight when I discovered recently that Warner Brothers is re-issuing many of the early Michael Bublé albums on LP? For the subject of this review I have chosen his 2005 second album, as its particularly strong and many of our readers / music lovers might have missed this when it was first released. When I first heard this album, I thought he sounded like a modern day Frank Sinatra but on further listening, I became convinced that he brought a fresh zest to the table of the American Songbook. Produced by David Foster, this is truly an outstanding collaboration, as they deliver a fresh spin and manage the difficult task of making classic songs sound fresh, alive & modern. LP1 side A, kicks off with Feeling Good and A Foggy Day (in London Town); the music has a great swing, and the very young Michael Bublé has a wonderful delivery & presentation , “Save The Last Dance For Me” is another stand out track, but there are enough stand out tracks on this album to easily sit through the whole album & feel content. The music sounds alive with fabulous snap & a great driving sound with tight percussion with first class production values. So treat yourself this Christmas to a terrific album. By the way, the CD sounds great, but the LP if you can spin it is the preferred way to go.